video-enable any application, workflow or device. Vidyo offers a complete HD video conferencing portfolio for universal visual communication from any end-point, over any network, without requiring expensive network upgrades. Regardless of the business or application, the VidyoRouter architecture delivers low-latency, HD-quality multipoint video conferencing over any IP network to any end-point, and each Vidyo video communication solution is built on our award-winning software-based platform, so it is fully customizable and easy to integrate. Vidyo is the first to market and market leader in software defined HD video conferencing. 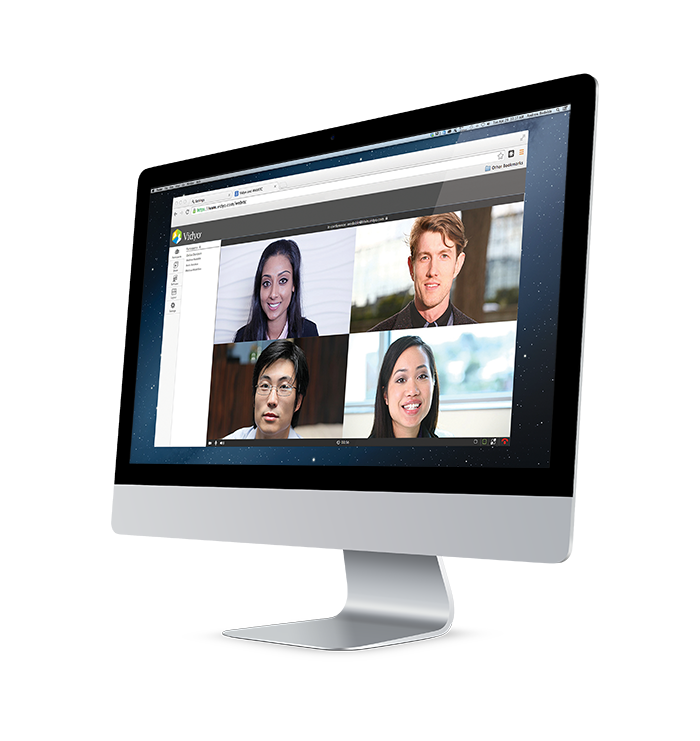 As early pioneers in SVC (Scalable Video Coding) Vidyo has revolutionized the access to desktop video conferencing. Users can expect perfect quality in the most challenging environments. The Vidyo SaaS model allows customers to deploy Vidyo products to the needs of their business, not based on the architecture of the product. By using software-based video coding, Vidyo is able to manage the upgrade experience from one central location. Customers can choose to upgrade on their own, work with Vidyo support or engage Perfect Video Conferencing to manage annual upgrades and semi-annual product reviews. Low-latency HD-quality multipoint video conferencing over any IP network to any end point. The efficiency of Vidyo services enables IT to have a worry-free deployment and deliver high-quality, immersive video conferencing without expensive, complicated networking upgrades. Vidyo has emerged as the leader in healthcare given the high-level of security, reliability and flexibility of the Vidyo architecture. Engage Perfect Video Conferencing for a customizable deployment of Vidyo that meets your communications needs. Perfect Video Conferencing will work with you to not only deploy Vidyo solutions properly, but we will also customize end-user training. By doing so we maintain a consistent user experience and ensure an immediate return on your investment. The architecture and deployment model supported by Vidyo gives any user access to an immersive experience.